Get the scoop on the best manure to use for your garden. Manure is a gardener's best friend. That being said, not all manures are created equal. Some manures are higher in nutrients than others. Knowing the best type of manure and when to apply it is vital for soil enrichment. 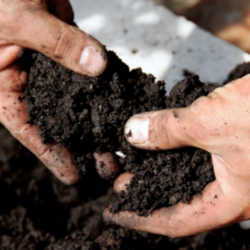 Most manures are better off composted, as the process kills harmful parasites, bacteria, and pathogens like e. coli. and roundworms. Composting also reduces the risk of fertilizer burn on your plants, although even after composting some fertilizers are very high in nitrogen and should be applied sparingly. Most gardeners look at the N-P-K ratio (Nitrogen, Phosphorous, Potassium) on their fertilizers to help them determine the right fertilizer to apply to their gardens. Manure, unfortunately, is not so easily broken down. The diet of the animal greatly affects the nutrient content, and a quick Google search reveals some conflicting data about the "correct" N-P-K value of manure. Luckily, while there may not be a definitive breakdown, some manures definitely contain more of each nutrient than others. For an in-depth manure nutrient analysis, please refer to this publication from Field Crop News. Cow manure is an excellent, balanced manure fertilizer. It is mostly composed of digested grains and grasses, and its relatively low nutrient levels actually make it the perfect manure for most gardens. You don't need to worry about it overfertilizing your vegetables, which allows you to add lots of composted manure and build organic material in your soil. Depending on where you source your cow manure, it may have bedding incorporated into the poop. Composting cow manure breaks down the bedding, eliminates most harmful pathogens and parasites, and provides a rich compost full of organic material. Composting also eliminates weed seeds, saving you the hassle of weeding out an accidental hay crop from your garden beds. If a farmer offers to spread manure on your garden, wait until the fall after all of your crops are in before spreading to give the manure the winter to break down. Horse manure is slightly higher in nutrients than cow manure. It also contains more weed seeds, which means you should make sure you compost your horse manure in a hot enough pile to eliminate weed seeds and parasites. 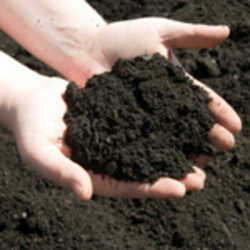 Horse manure's slightly higher N-P-K ratio also means that the manure is "hot" and can burn your plants if applied raw. One of the biggest benefits of horse manure for compost enthusiasts is that it contains a lot of dry matter, according to UMASS, not to mention the bedding that normally comes with it, which adds bulk and fiber to your compost pile. Most horse farms use wood shavings as bedding, but if you can find a farmer who uses straw, that is even better. Finding horse manure is easy in rural areas. Horse harms are usually eager to get rid of excess manure for free, as long as you can come and pick it up. Sheep and goat manure has a few advantages over cow and horse manure, especially in the odor department. The pellets are dry and significantly less smelly than horse and cow dung, making it ideal for more urban and suburban areas where neighbors might object to your composting habits. The other advantage is that despite the higher nutrient levels in sheep and goat manure, these potassium rich pellets have a much lower risk of burning your plants if applied raw. There is still a risk of weed seeds and parasites, so composting your sheep and goat manure is a very good idea. If your garden has a nitrogen deficiency, chicken manure is the perfect poo for you. Chicken manure is full of nutrients, however it is a harsh manure that needs to age and compost well before you apply it to your garden. 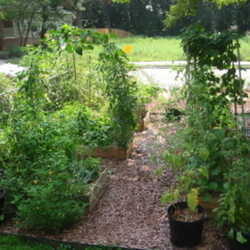 It is also possible to over fertilize with nitrogen, which can cause problems for your plants. In tomatoes, too much nitrogen prevents fruit formation, as nitrogen boosts foliage instead. You can avoid this by adding composted chicken manure at the beginning of the growing season and a more balanced manure (like cow manure) later on. This is one of the few manures that can be applied raw without any fertilizer burn, and pet and even wild rabbits do not carry many zoonotic pathogens, which means it is relatively safe to handle. That being said, composting your rabbit manure eliminates any risk of disease and does not make it any less effective in your garden. Keep cat, dog, and pig manure out of your gardens and compost piles. These manures carry harmful pathogens, bacteria, and parasites that can infect humans during handling and when they come in contact with vegetables. Most backyard compost operations are not sufficient to reduce these risks. These common manures work wonders in the garden. Get your hands on some manure today and start composting for soil fertility later on in the season.